With motions pending, Chair Roberta Lange ended the Las Vegas convention in the following manner, according to a witness: "Makes a motion. Seconds her own motion. Passes her motion. Runs off the stage." Clinton supporters apparently challenged the credentials of enough Sanders supporters (about 64) to give themselves a 33-delegate edge. Leslie Sexton, a convention credentials committee co-chair, took the microphone just after the final results were read and said she had a minority report but was not allowed to give it. The crowd started up loud chants of “Let her speak” and “recount,” and after a few minutes a DNC committee member gave her the podium. Sexton reported that nearly 64 Bernie Sanders delegates to the state convention were excluded from the convention process. Sanders only had 33 fewer delegates than Clinton in attendance. 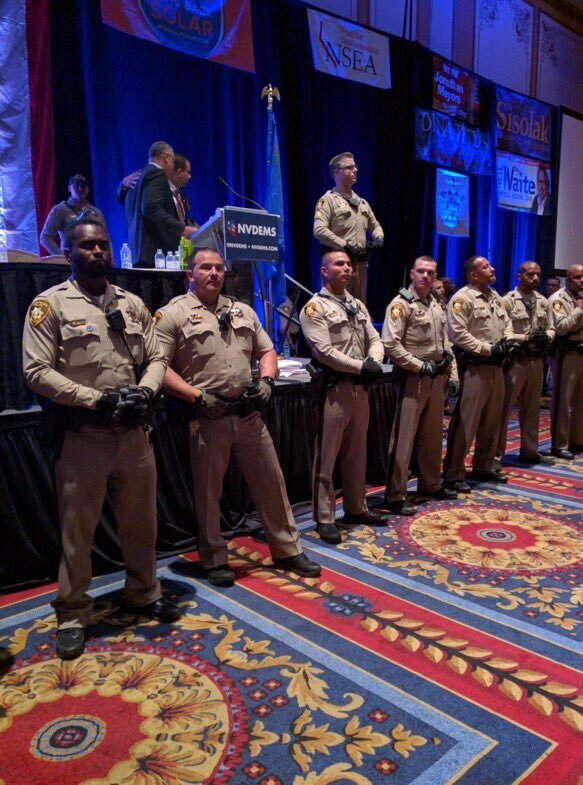 “The credentials minority report is based on the challenge of 64 Sanders delegates. Contrary to the procedures and precedents set by the committee, nearly none of these 64 people were presented with the opportunity to be heard by the committee or to demonstrate that they are registered Democrats," Sexton said. "Without the opportunity to be heard, no delegate could be stricken. The actions of the credentials committee violates the spirit of the Nevada state delegate plan which encourages full participation in the democratic process, and it violates the spirit and values of our state and our nation." The DNC committee member said the report would be submitted to the DNC.